HIGHLIGHTS: The Chattahoochee National Forest is one of two National Forests in the State of Georgia, and it takes its name from the Chattahoochee River whose headwaters begin in the North Georgia mountains. The River and the area were given the name by the English settlers who heard it from the Indians that once lived here. 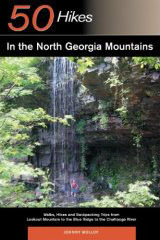 The Chattahoochee was created when the Forest Service purchased 31,000 acres in Fannin, Gilmer, Lumpkin and Union Counties from the Gennett family in 1911 for $7.00 per acre. In the beginning, the Chattahoochee was part of the Nantahala and Cherokee National Forests in North Carolina and Tennessee, but eventually the Forest Service made additional land purchases and expanded the Chattahoochee to its current size of nearly 750,000 acres. 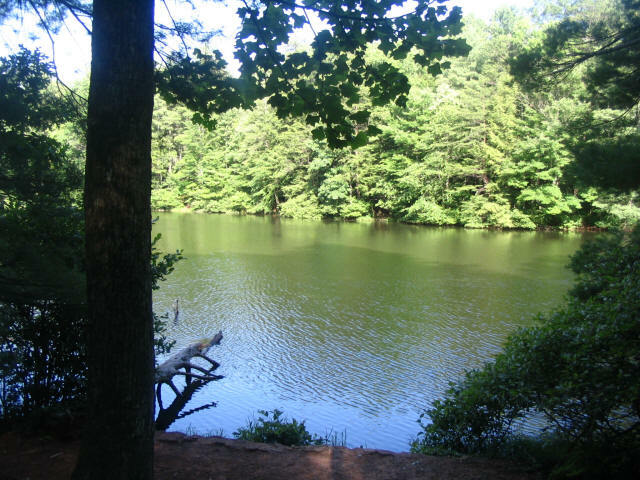 This short hike in the Chattahoochee National Forest circles Dockery Lake for 0.6 miles as it loops over the damn, around a group camping area, and returns to the campground which has eleven campsites. There are numerous spots along the trail to cast into the lake which is stocked with trout and loaded with brim (aka. blue gill). Copyright © 2019 · N2 Ventures, Inc. All Rights Reserved. Please review our Site Agreement and Privacy Statement.